Born of the timeless vision of the sages and seers of India, the Upanishads are a treasure trove of wisdom, enlightening life as it unfolds in its many dimensions. 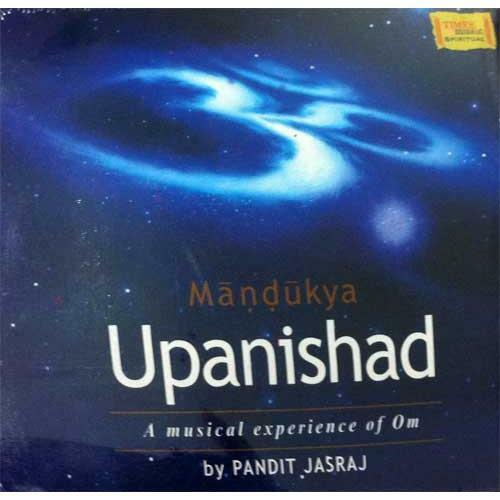 Unique among the ten principal Upanishads, the Mandukya dwells deep and wide into the power and mystery of Om...the seed sound of creation. To be able to utter the divine Om with our mortal tongue is a blessing in itself. The culmination of which can only be in a musical odyssey led by the vocal genius of a Pandit Jasraj. Spread in three volumes of this collector's item, the enchanted journey from Omkaar to Om covers the four stages of human consciousness. From the waking stage...to the dreaming, then to the dreamless depths...and finally to Samadhi. Put into English by Shree Purohit Swami & Nobel Laureate W. B. Yeats. Musically interpreted by Pandit Jasraj. Spoken by Salim Ghouse. Orchestrated by Shaarang Dev. A MUST HAVE 3 CD ALBUM IN YOUR COLLECTION!